Recombinant monoclonal antibody to CD11a. Manufactured using AbAb’s Recombinant Platform with variable regions (i.e. specificity) from the therapeutic antibody hu1124 (Efalizumab). Immunogen: Efalizumab binds to CD11a, a subunit of leukocyte function antigen-1 (LFA-1), which is expressed on all leukocytes. Specificity: Binds to human LFA-1. Application Notes: Efalizumab binds to the LFA-1 alpha I domain blocking the ICAM-1 binding site via steric hindrance. Note on publication: Describes the analysis of the pharmacokinetics and pharmacodynamics of hu1124 [Efalizumab]. 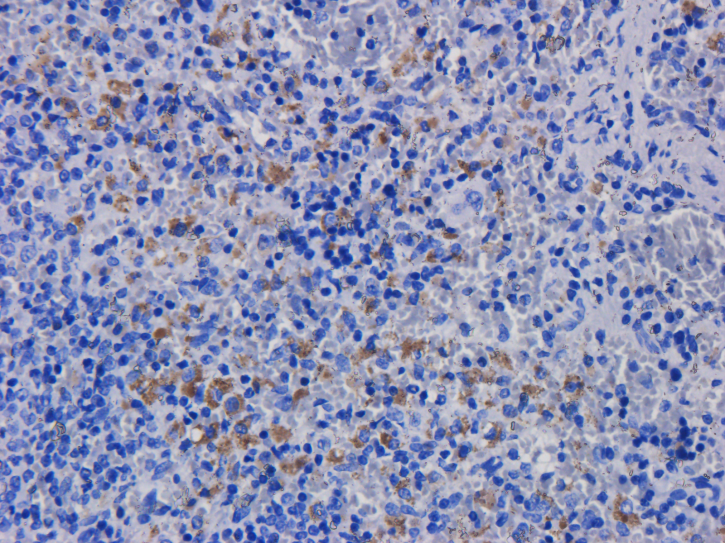 IHC on rat spleen tissue using Ab00535-10.0. 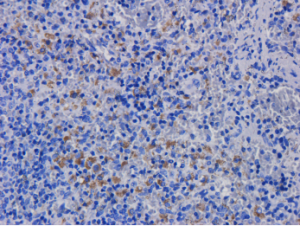 Immunohistochemical staining of rat spleen tissue using anti-CD11a antibody (Ab00535) hu1124 (Efalizumab). Anti-CD11a staining of formaldehyde fixed paraffin embedded rat spleen tissue, at 40x magnification. 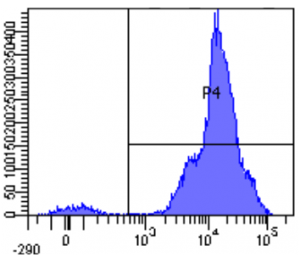 The human IgG1-chimeric version of hu1124 (Ab00535-10.0) was used to stain samples at a concentration of 3 µg/ml. 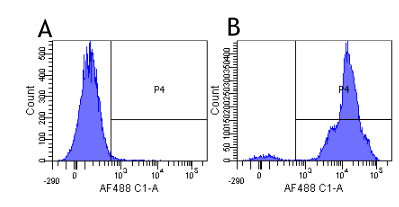 Flow-cytometry on human lymphocytes using Ab00535. Flow-cytometry using the anti-CD11a research biosimilar antibody Efalizumab (hu1124, Ab00535) Human lymphocytes were stained with an isotype control (Ab00102-23.0, panel A) or the rabbit-chimeric version of Efalizumab (Ab00535-23.0, panel B) at a concentration of 1 µg/ml for 30 mins at RT. After washing, bound antibody was detected using a AF488 conjugated donkey anti-rabbit antibody (ab150073) and cells analysed on a FACSCanto flow-cytometer.